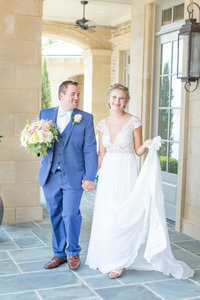 Ashley & Kyle’s elegant Anderson, South Carolina wedding was so beautiful and classy! We’d been watching the weather all week, and it even though it rained, Ashley & Kyle didn’t let the rain take away from any of the joy and excitement of their wedding! I told you I get the most amazing couples!!! After shooting the first wedding of the year in several inches of snow, and then having it rain all day for this one, 2017 has definitely kept Julia and I on our toes! Thankfully, Anderson University was right down the road! So we found a gorgeous covered area that was PERFECT for portraits and went right along with Ashley’s soft neutrals and elegant wedding! What a praise! I even loved this location more than what we’d have used if the sky had been clear! 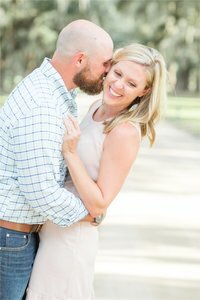 These two rocked the posing (same with their engagement session you can view here! ), and we flowed through the whole day! Their intimate ceremony took place in the cutest chapel! And their gorgeous reception was located next to a beautiful lake, and the rain slowed to a stop so their just-married portraits were so fun! Ashley was such a beautiful bride, and her calm spirit through the whole day and constant smiling made you feel like her best friend! 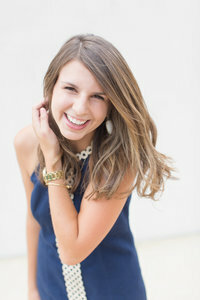 I’ve loved planning with Ashley for her wedding day through the last several months! And it did not disappoint! 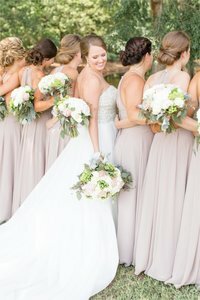 Her amazing planning totally paid off, and her colors are literally my dream color scheme!! 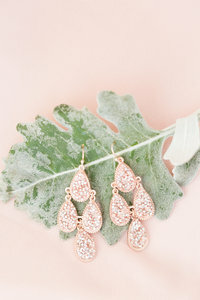 Here’s some favorites from their gorgeous, Anderson, SC wedding! LOVED all of Ashley’s details!!! This was her grandmother’s mirror! Kyle’s reaction was so sweet!!! One of my favorites!! SO much joy!!! Ashley, you are breathtaking! After I showed Ashley this last show we took below she said, “That seems like a great finale image to end with!” And I couldn’t agree more! !